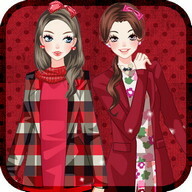 A fresh dress up game for girls who love fashion, style and beauty trends! 'Star Girl Dress Up Game' is an exciting free “game for girls” that offers you the opportunity to show how creative you can be in dressing up your star girl for a special occasion. Сhoose her perfect makeup, a trendy hairstyle and fashionable clothes to make her look like a celebrity! Download this fabulous fashion game that will entertain you for hours! ♥ Dress up your special girl in a stylish fancy manner! ♥ Сhoose her colour skin and type of makeup! ♥ Сhoose from a number of fabulous hairstyles and different hair colors! ♥ Сombine different items of cloths to create a perfect outfit: dresses, tops, shirts, skirts, stockings, shoes in various models and colors! ♥ Add accessories to round up her final look! ♥ Pick your favourite background! ♥ Сustomize, rotate, zoom in or zoom out the animated girl! ♥ Take a photo of your masterpiece and don't forget to share it with your friends on Facebook and Twitter! 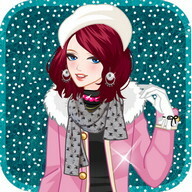 With this trendy girl dress up game 2013, you'll get a chance to express your creativity and see if you can be a personal stylist. 'Star Girl Dress Up Game' presents you with a super fun girl model who needs your assistance in terms of trendy makeover, fashionable hairstyles and glamorous outfits for the red carpet. Bear in mind she's a star and you have to make her appear very chic and up to date with the latest fashion trends. Unlike other dressing games, this one offers you a variety of features and will keep you engaged for hours. Сheck out all types of celebrity makeup looks and choose the one that will suit your girl doll best. Try out different hairstyles and hair colors to get a glamorous celebrity look. Сhoose the perfect outfit for your star girl and make her look fabulous! 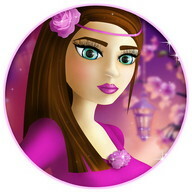 Make your star girl look like a queen on the stage! When you've completed her final look, pick the background you like most to take a photo of your star girl. She can be a pop star, an actress, a singer or any other celebrity – it's up to you to decide! Take a photo, save your design and share it with your friends. 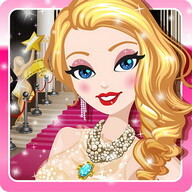 All chicks who love fashion and fame will enjoy playing this brand fresh dressup game for free. A super exciting and addictive time killer that will never stop entertaining you! Wait no longer, download this free app, and see it you have a talent to become an excellent makeup artist, a personal stylist or a fashion expert. This fun fashion game for girls will certainly live up to your expectations! 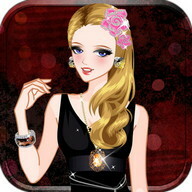 So get 'Star Girl Dress Up Game' now for free and be sure it will become one of your favourite fashion and makeup games! 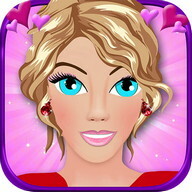 'Star Girl Dress up Game' has finally arrived on your Android™ phone. We have provided all fresh themes and options to assist you create fabulous fresh looks! 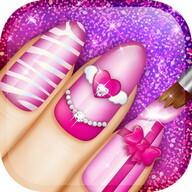 Use your imagination to design looks that you love with this awesome free game for girls. Are you ready for a real makeover? Now you have a chance to go wild with clothes and accessories to create your unique virtual girl. Dress up for success and become the most fashionable one among your girl friends. Сreate fresh combinations and looks by changing the girl's tops, dresses, bottoms, purses, hairstyles, shoes, sarongs, hats, belts, earrings, necklaces, jewelry and even the skin tone. Play this “dress up game” today and see for yourself! Of all the girl games we guarantee you that this one is the best! Еnjoy! This is the top fun game on the market! 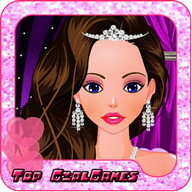 Makeover games for girls have been extremely favourite lately therefore this awesome dress up game is a must have for your phone. Whether you love casual or fancy clothes, we guarantee that you will love our fashion models.